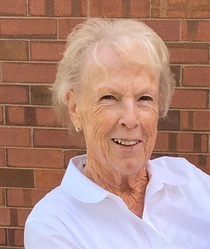 Obituary for Janice (Atkinson) Mitchell | Crandall Funeral Home Inc.
Janice Atkinson Mitchell, 78, passed away peacefully, surrounded by her family, on February 9, 2019. Janice was born September 29, 1940 to Afton Lefler and Isaac Victor Atkinson. She was the youngest of eight children. Mom was married and sealed to her sweetheart, Jack W. Mitchell, on January 22, 1960 in the Salt Lake City Temple. They just celebrated their 59th wedding anniversary. They were the epitome of true love! Mom was a devout member of The Church of Jesus Christ of Latter-day Saints. She loved serving others and served in many capacities in the church. She and dad served as missionaries in the Nauvoo Temple as temple ordinance workers. She also served as a coordinator and ordinance worker for 13 years in the Salt Lake Temple, where she was loved by many. In addition to being a loving wife, full-time mother and grandmother; she was blessed with many talents. She loved sewing, cooking, reading, quilting and crocheting, just to name a few. She enjoyed supporting her family and was proud of their many achievements. She loved spending time with her children, grandchildren and great-grandchildren and each felt like they were her favorite. Dad and her family always came first. She was very compassionate and showed unconditional love for all. She is survived by her husband, Jack, her six children, Dody & Blair Peart, Cory & Gail Mitchell, Tonya & Travis Hatch, Geri & Wayne Wilde, Jacki & Jaime Cuartas, Steven & Brittani Mitchell, 20 grandchildren, many great-grandchildren and her sister, Audrey Mitchell. She is preceded in death by her parents and siblings Oris & Lucille Atkinson, Bud & Rozella Atkinson, Wally & Myrla Atkinson, Barbara & Clarence Mitchell, Jean & Morris Giles, Marie Brown, and brother-in-law, Jack C. Mitchell. A viewing will be held on February 14, 2019, from 6-8pm at The Church of Jesus Christ of Latter-day Saints in Kamas, located at 100 West Center Street. Funeral services will be held on Friday, February 15, 2019 at 11:00 am with a viewing one hour prior. Interment will be at the Francis, Utah cemetery.